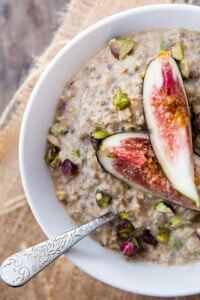 Perfect for anyone looking for Thermomix Recipes for Weight Loss. Click image to view contents of ‘The Healthy Mix’. This 7 Day Meal Plan is designed for use with the Skinnymixers ‘The Healthy Mix’ Cookbook. 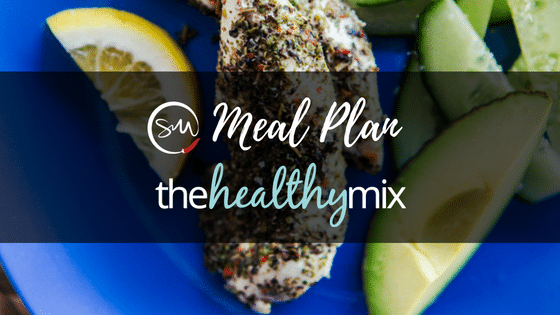 This 7 Day Healthy Thermomix Recipe Meal Plan is family friendly and flexible for different dietary needs. 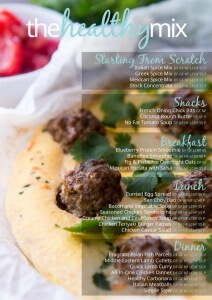 The following are base recipes, intentionally kept simple so that you can adapt the menu plan to your requirements. Bulk out meals with seasonal vegetables and salads. Prior to starting you will want to check out the ‘Starting From Scratch’ section of the book to make any of the spice mixes required and some Stock Concentrate. Typically I keep Chicken and Beef Stock Concentrates in the freezer for recipes. Don’t be afraid of the salt in them as you only use a spoonful per recipe and that is where the flavour is. Whether you like to eat your overnight oats cold or warm, these make the perfect no thinking required breakfast. 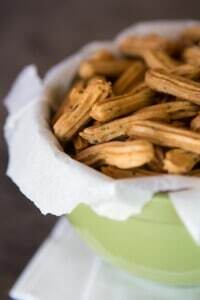 They will store for up to 4 days in an airtight container in the fridge. In the book there is a Gluten Free and Super Skinny variation, however this is the perfect base recipe to adapt to your own tastes. Personally I like to flavour mine with vanilla powder, dried cherries and shredded coconut. The ultimate budget friendly meal. 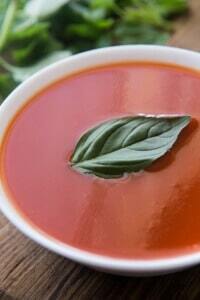 This soup is so tasty and perfect for cleaning out any sad looking vegetables in the fridge. Remember to portion out all these meals prior to serving if you are looking to lose weight. 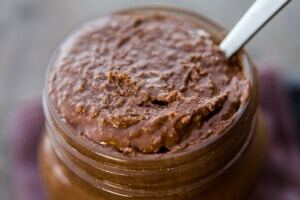 In ‘The Healthy Mix’ there are Low Carb Healthy Fat & Super Skinny variations. The ultimate all in one Thermomix dinner. Choose your preferred spice mix flavour of Greek, Italian, Mexican or perhaps the original recipe from the blog. 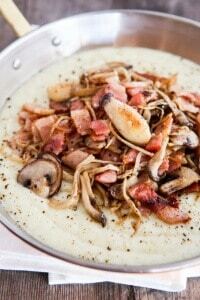 The cookbook has Low Carb Healthy Fat and Super Skinny variations. This is a great filling recipe, perfect for anyone that needs that cup of coffee in the morning. Don’t like coffee or want to share with the kids? 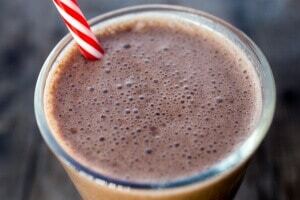 There is a chocolate smoothie suggestion in the book. If you are LCHF, you are able to replace the banana/maple with banana protein powder and can add avocado for an extra healthy fat boost. 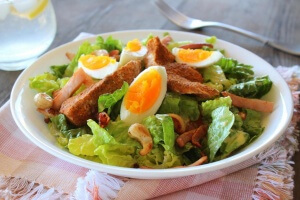 If you haven’t made the Chicken Caesar Salad from THM yet, then rush to the kitchen ASAP. With a Super Skinny variation and the ability to make an amazing dairy-free Caesar Salad dressing, this is one of my favourite salads. If you don’t feel like chicken I often make it as a side to grilled steak, but watch the portion size on this one as it is very easy to drink the dressing! You will have dinner on the table in under 30 minutes and the kids will be asking to have it again and again. Serve these with zoodles, pasta or a simple salad. In winter you can serve them atop of the Silky Sweet Potato Mash. 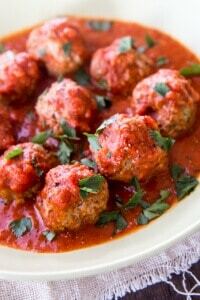 This recipe has Super Skinny and Low Carb Healthy Fat variations. Overnight oats are fantastic for people like me, who when they get out of bed are immediately tending to the needs of everyone else, and forget to feed themselves. This feels like a decadent meal, but really isn’t. Some sort of creamy magic happens when you blend cauliflower at high speeds. Mix up the different Spice Mixes from ‘The Healthy Mix’ to keep things interesting with a Greek, Italian or Mexican version. The book has Low Carb Healthy Fat and Super Skinny variations. Don’t worry if cauliflower isn’t in season as this can also be made with frozen cauliflower. Freeze any leftover portions for easy meal options. A simple and tasty curry that you can have on the table in 30 minutes. This isn’t a spicy curry, but serving to children you can stir through some yoghurt or cream when finished. 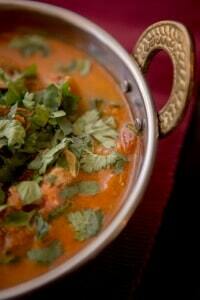 If you are using chicken or different vegetables in the curry, simply extend the cooking time by a few more minutes. Serve with cauliflower rice or steamed vegetables. Loved the Banoffee? Try adding a pinch of Vanilla Powder for a Vanilla Banoffee. Tip: Store bananas broken into pieces in the freezer for a an extra cold smoothie or freeze your espresso in ice cubes. So full of flavour the San Choy Bow is a very satisfying but light lunch. 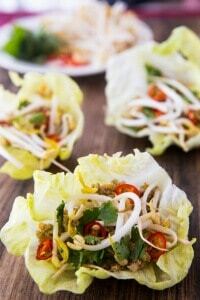 Incredibly fast to make, you will find it will take more time peeling the lettuce leaves intact. There is a Low Carb variation in the book to cut down on the carbs. 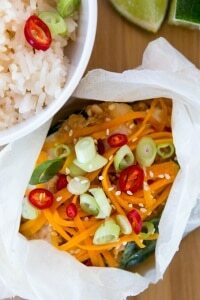 You can also bulk out this recipe by adding rice vermicelli noodles, rice or asian vegetables. Served with zoodles for a lighter option or pasta for the rest of the family, this dairy-free carbonara sauce is a great base recipe. There is a Low Carb Healthy Fat variation in the book that some people like to use to give a richer flavour. I often use this sauce to make Lasagne with the Chunky Bolognese. I LOVE the Blueberry Protein Smoothie. It tastes like you are drinking a Blueberry Cheesecake and is incredibly satisfying. This smoothie will keep you fuller for longer so don’t be afraid of the cottage cheese. 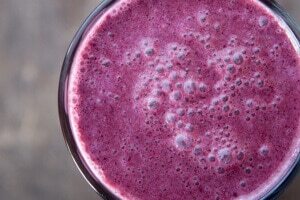 If you are LCHF, this smoothie is also delicious with raspberries and no sweetener. A vibrant layered cooking meal that you can bulk up by steaming extra vegetables. Not a lover of fish? 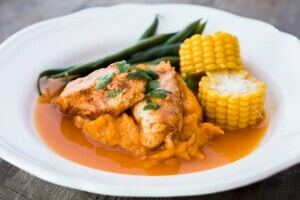 You can also make this with chicken breast. Just make sure you cook until fully cooked through (will depend on the thickness of the chicken). Something a little different to the usual bacon and eggs. This protein packed breakfast will keep you going for hours. I’ve actually been known to serve this for dinner with a side salad, as it’s soooo tasty and simple. This is the most basic of recipes, but shows you that healthy eating doesn’t need to be tasteless. This is one of Nik’s favourite recipes for weight loss, and features regularly in the Riddle household. 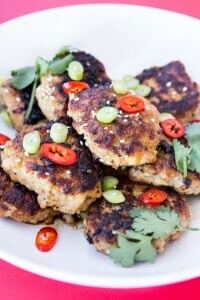 Season your chicken with your choice of spice mix from ‘The Healthy Mix. Serve on a bed of steamed vegetables with a squeeze of lemon for a Super Skinny meal or shred with your favourite mayo. The combinations are endless and can be frozen for meal prep. This is definitely a family favourite and is on regular rotation. I think I’ve cooked the Greek version the most, but the Italian and Mexican versions aren’t too far behind. Don’t be fooled by the name, the flavour of this recipe is amazing and made with pantry staples. The Mexican Frittata makes a fantastic weekend brunch dish, which is unique and full of flavour. You can prepare these delicious burgers ahead of time and are great with a side salad or in burgers. 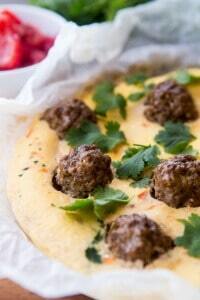 Try them with the low carb burger buns if you are watching your carb intake. The burger patty mix is a wet mix, so don’t stress if they don’t feel firm before cooking. This would have to be one of the most flavour packed Skinnymixers recipes. Please make sure you watch your portion control if you are watching your weight. 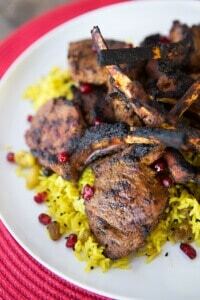 This marinade is incredible on lamb cutlets, slow roasted roast lamb and baked chicken drumsticks. You can make this recipe dairy free by using coconut cream in the marinade and there is also a Super Skinny variation in the cookbook. These snacks are great for an occasional treat – especially if you are craving something sweet or savoury, and need to curb those cravings! Not your typical weight loss food, but it’s fantastic to have a teaspoon on a slice of apple, if you have a sweet craving. For this recipe it is important that your nuts are ROASTED. This will allow the oils to release and bring it together. The time it takes the oils to release can be anywhere between 5-15 minutes depending on your nuts. If you are worried about your machine or feel like it just isn’t coming together, you can add a little coconut oil to the mix. If you have a sweet tooth you can also increase the maple syrup to taste. These are really moreish, salty savoury snacks which are a great alternative to the popular soy crisps. These are suitable for lunch boxes and the flavour can be switched up. Favourite variations in the group include rosemary/sea salt and using coconut cream to make them dairy free. If you feel the mixture is too hard to pipe, make sure you are using a large nozzle and perhaps add some water to thin it if required. The best tip is to do small amounts at a time in the piping bag. If you want an extra crispy finished product you can pop them in a dehydrator overnight. 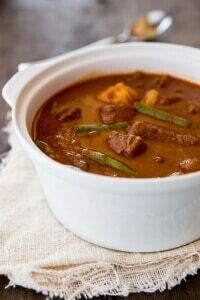 This is a yummy and filling soup, great for keeping on hand to satisfy your hunger. The flavour comes from the tomatoes so if you are using fresh tomatoes, please make sure that they are lovely and ripe. Alternatively the canned tomatoes are full of flavour. If you have kids who love canned spaghetti, try adding alphabet spaghetti to this soup with some cream to taste. Hi! Love Skinnymixer recipes, and have just ordered the 5 book mega bundle and don’t seem to have got the PDF for the blank meal planner template! Is this still sent out? Is there any addition to the 7 day meal plan? Hi, I lost my e-versions of the books when I upgraded my phone, is there a way I can download again please? Hi I’ve already got The Healthy Mix but didn’t get the meal plan. Can you tell me how I can download it? You can freeze the leftovers for another week. That’s what I do. This looks great! Can you please note which meals are freezable? Like Kay, I too would have a lot of left overs. I love the healthy Mix, but definitely need a push do do the weight loss. The recipies are great and so quick and easy. So, Yes please I’m in, Would I have time to pre-make and freeze some of the meals before we start the challenge? The number of people they serve would mean lots of left overs for me.